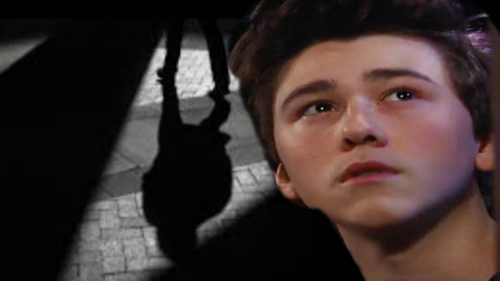 General Hospital (GH) spoilers tease that Oscar (Garren Stitt) has some serious drama headed his way. His mother has no interest in discussing his father, so Josslyn (Eden McCoy) is taking matters into her own hands. Oscar helped Joss do a little Internet research, but they need a name if they’re going to learn anything concrete. Fortunately, Josslyn plans to rummage around at Oscar’s place. She’s certain she can find a clue that will point them in the right direction. Once Josslyn finally gets a chance to snoop, what will she uncover? Could there be an old picture or something else that aids the hunt? If Joss stumbles across a photo of Steve Burton’s Jason, that would leave her in shock. Let’s examine some crucial General Hospital spoilers so we can determine how this might play out. GH has reportedly been trying to secure a deal with Tamara Braun (ex-Carly). It’s possible they’ve already worked one out and they’re just keeping the confirmation under wraps. If Braun indeed shows up in Port Charles, she’d be a good fit for Oscar’s mom. Welcome, Dr. Kim Nero! Braun’s new character is supposed to have an intriguing connection to Burton’s role. 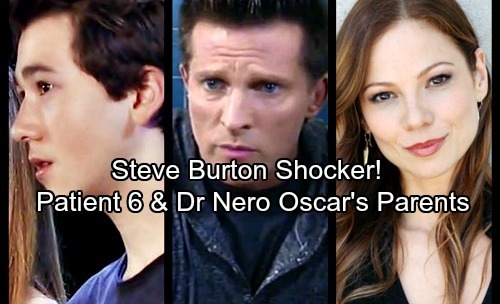 Oscar will also have a link to Burton’s character, so all roads lead to Patient Six (Steve Burton). It sounds like Burton and Braun may play Oscar’s parents. Perhaps Josslyn will find out something that she just can’t keep quiet about. If she believes Jason could be Oscar’s dad, she should fill Carly (Laura Wright) and Sonny (Maurice Benard) in. Kim may be furious when she hears Josslyn’s been stirring up trouble. This could spark major family conflict and threaten the teens’ romance. Once the twin chaos explodes, PC residents won’t know which Jason is the real one. That would definitely affect Oscar and Josslyn’s search for answers. Throwing another kid in the mix would complicate things for classic Jason. However, it could also be helpful if Sam (Kelly Monaco) sticks with Billy Miller’s character. Jake (Hudson West) and Danny (T.K. Weaver) may cling to their bond with Miller’s Jason as well. Oscar, on the other hand, might be able to connect with his dad. That’s especially true if classic Jason never knew he existed. There may not be hard feelings if Oscar realizes he wasn’t really abandoned. 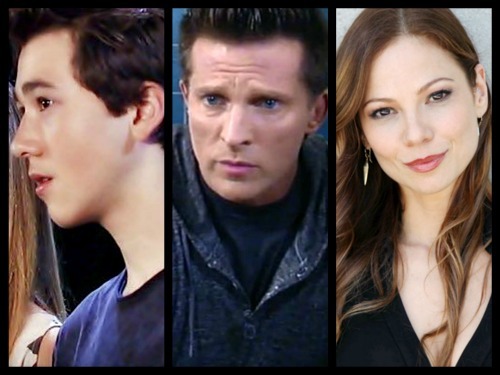 General Hospital spoilers suggest that some stunning moments are ahead, so GH fans will want to stay tuned. We’ll give you updates as other news comes in. Stick with the ABC soap and don’t forget to check CDL often for the latest General Hospital spoilers, updates and news.